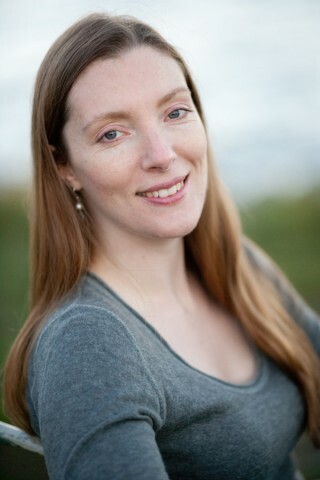 Please consider becoming a sponsor for an inspiring Monadnock Buy Local event with author Stacy Mitchell happening this spring in Keene. Event and sponsorship details are below. Complete Economy Event: Creating an Economy That Works for All in the Monadnock Region is scheduled for May 4, 2017 in Keene. What is the Complete Economy Project? The Complete Economy Project supports the adoption of policies that level the playing field for locally owned businesses in our region and spark innovative business models that contribute to our local living economy. It cultivates a regional economy that works for all people and balances the needs of diverse types of business. Thank you so much for considering this opportunity. Sponsor commitments are due April 1, 2017. Please contact jen@monadnocklocal.org or 603-499-7950 with any questions. Community Supported Agriculture (CSA) is a personal relationship between a farmer and eater. You join the farm as a member and you get a box of food from the farm throughout the growing season. The CSA charter describes this relationship well. In world of intractable problems - take your pick: political and economic instability, nuclear weapons, global warming, and on and on - joining a CSA is a positive act that you can take today that has profound impacts on your health, your local economy, and the environment. The investment you make in your CSA farm is modest. The average CSA share costs $25/week during the season, so that is $100/month. That’s probably less than your cable bill and less than your cell phone bill -- for food grown with care in local soil and delivered directly to your neighborhood! There usually is some up-front investment, though most farms will offer payment plans (if not, ask your farmer for a payment plan if you need it!). Thank you for supporting local farms and making the commitment to a CSA share. Your support makes all the difference and keeps our farms running. If there is something that is preventing you from joining your CSA farm, you should let your farmer know so they can improve their program in the future! 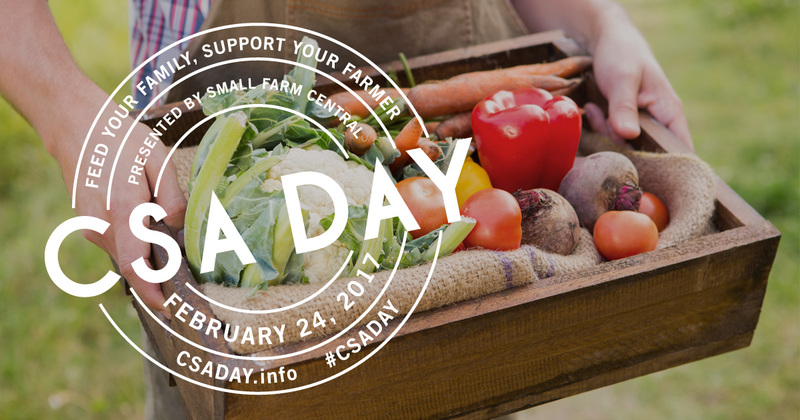 Find a CSA farm in our CSA Day Directory at http://csaday.info. But small business’ own well-being also is at stake. For one, a negative experience at one independent business can degrade a person’s perception of others -- especially within that community. And if a person doesn’t feel safe from bigotry in your neighborhood, they’re far more likely to travel to one where they feel more welcome to shop or dine -- or simply shop online. Sending a clear message to anyone entering your establishment can help, but educating employees also is essential. 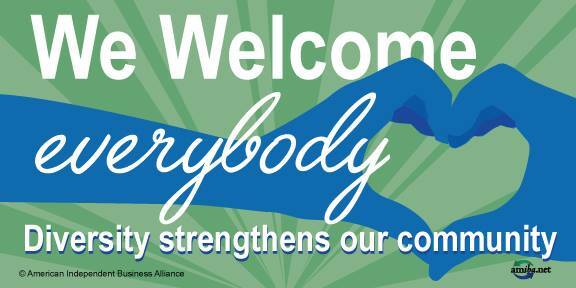 While we hope overt bigotry from an employee or business owner is a rarity, businesses should cultivate an environment in which all customers receive welcoming treatment, not merely an absence of hostility. A friendly verbal welcome and a smile always is good business, but especially so for people who stand out from others in your community. Small businesses also should consider educating their staff on how to protect customers in the event of harassment in or around their business, without endangering their own safety. Finally, we suggest business owners strive to hire and develop a diverse staff, including leadership positions, not only to model inclusivity, but for their business’ success. Non-ideological studies have found businesses ranked in the top quartile for diversity in gender and race generate greater profit than more homogeneous ones! We welcome you to recommend additional materials to link on this page. Experience a romantic dinner at The Inn at East Hill Farm on February 14th at 6:00 p.m. Dinner includes appetizers, entrees and desserts for $60 a couple. Add roses from Coll’s Garden Center and Florist in Peterborough to complete your evening. This is a BYOB event and reservations are required. Enjoy a sampler plate of sweets from the 18th to 20th century during The Monadnock Center for History & Culture's Flirt With Dessert Event on February 10th. Also, learn more about love, courtship, and marriage from 1725 to 1925. Tickets are limited and $15 per person. 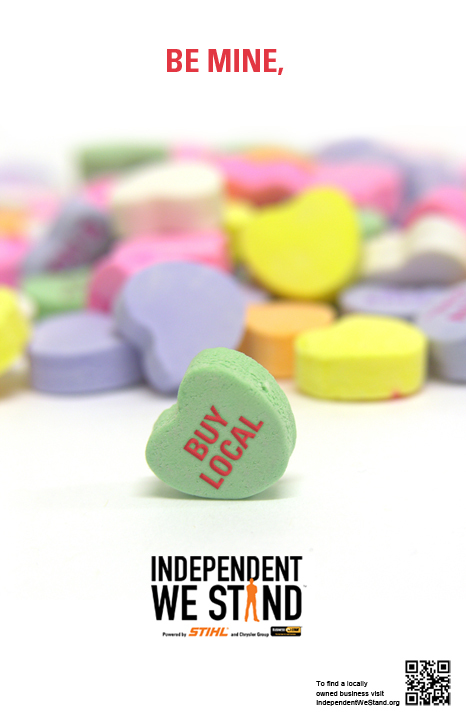 Stop into the Monadnock Food Co-op on February 10th for their free Local Love Sample Night from 4:00 pm - 6:00pm. 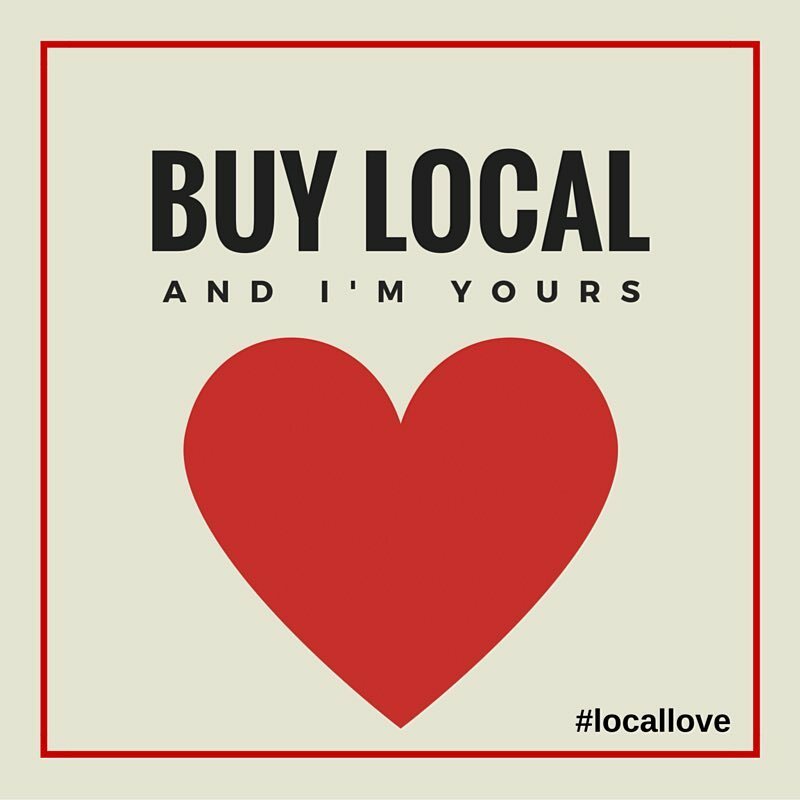 They want to help you find the perfect #locallove Valentine's Gift for your sweetie. If you do choose flowers for your Valentine, we encourage you to buy them from a local florist -- but why not offer something more unique, like a bouquet of locally grown greens from the Farmers’ Market of Keene (open on February 11th from 10:00 a.m. to 1:00 p.m. at the Hannah Grimes Center) or a Flower CSA Share from Vera Flora Farm in Gilsum? NH Made will host a mixer at The Hannah Grimes Center in Keene from 6pm to 8pm on February 16th. Denise Meadows will provide an overview of the programs, resources and services The Hannah Grimes Center has created to support entrepreneurs and will give us a tour of The Hannah Grimes Marketplace, a retail store centered around locally made goods. We will also be joined by Pam Lorimer, owner of the Jack Daniels Motor Inn (NH Made member) and Secretary of the Monadnock Travel Council. Pam will share with us the travel council's mission and their efforts to attract visitors to the Monadnock Region. This is a great opportunity to learn more about NH Made, meet its members and network with businesses in the Monadnock area. Please RSVP by February 14th by emailing heather@nhmade.com. “The group recognizes the broad impact that our transportation system has on us as individuals and as communities -- everything from employment, to our cost of living and our health,” said Henry Underwood of Southwest Region Planning Commission and MAST Steering Committee Coordinator. The City of Keene is one of four “Bicycle Friendly Communities” in New Hampshire. 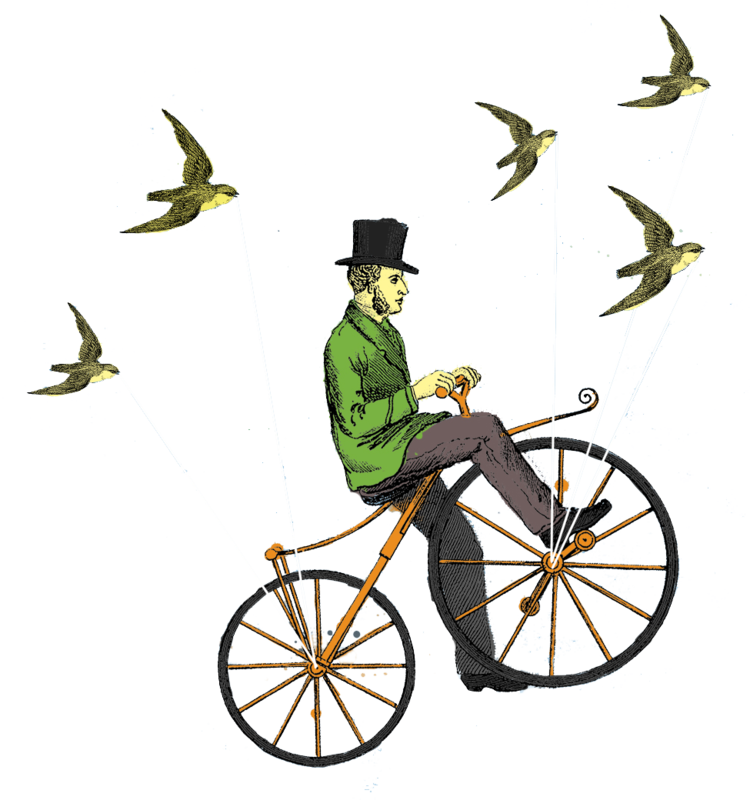 A Bicycle Friendly Community (BFC) welcomes and encourages bicycling with infrastructure (paths and bike lanes), educational programs (Safe Routes to School) and policies (Complete Streets). While MAST is proud that our city achieved a Bronze BFC status in 2015, we’ve set our sites on reaching a higher status in 2017 -- let’s go for the Silver… or better yet, the GOLD! “The League of American Bicyclists' Bicycle Friendly Community (BFC) program is a tool for communities to make bicycling a real transportation and recreation option for all people,” shared Henry. MAST recently published a report that collected background information, case studies and next steps for developing a carsharing program in Keene. 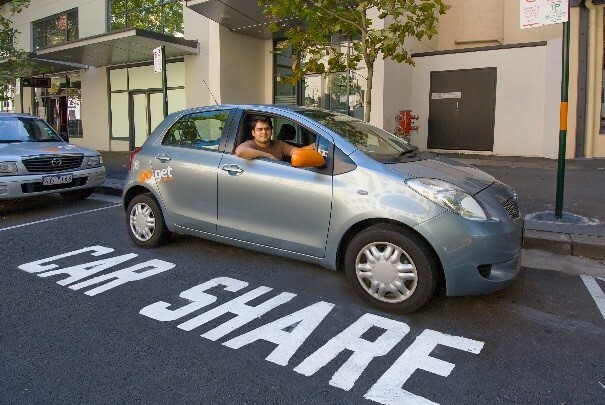 Carsharing allows an individual to rent a car for short periods of time -- by the minute or hour, instead of by the day. Imagine you plan to bike to work, but suddenly remember you have a midday meeting across town. Normally, you’d skip the bike ride and take the car -- but with a carsharing program in Keene, you can ride your bike to work and reserve a car through the carshare program to get to your meeting. Ride your bike to that central location, where the carshare is parked, and off you go. Since the cost of carsharing is much lower than private car ownership, carsharing can bring more mobility to those who need a vehicle for only occasional trips. If we built up our carsharing fleet with hybrid or electric cars, we’d also lower our community’s vehicle emissions -- a goal in the City of Keene’s Greenhouse Gas Inventory. Monadnock Buy Local supports the work of MAST and believes its work is integral to building a stronger Local Living Economy -- one that is more local, green and fair. We serve on MAST’s Steering Committee and invite more individuals, businesses and organizations to climb aboard. Contact Henry Underwood at hunderwood@swrpc.org or visit the MAST website at www.MASTNH.org. 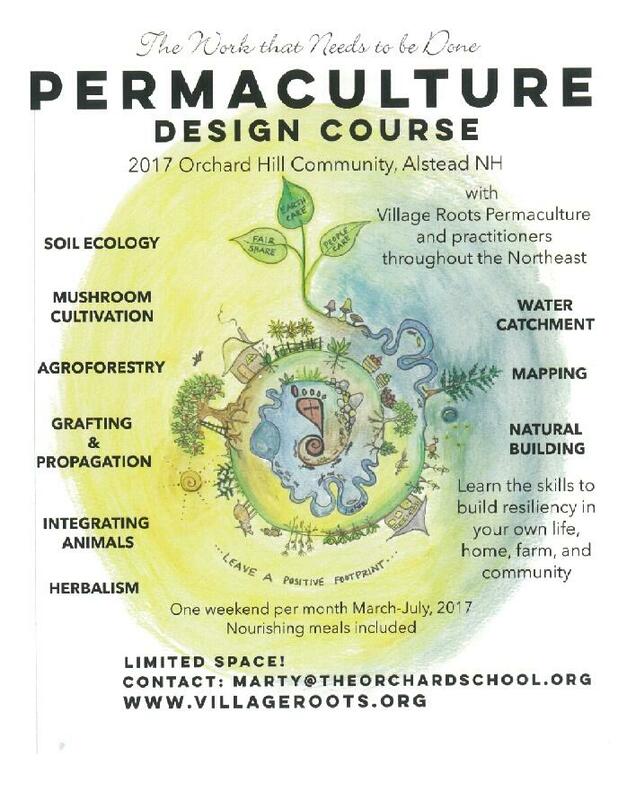 Before we close, here’s a shout-out for an excellent upcoming event offered by Village Roots Farm, a Permaculture Design Certificate Course at the Orchard Hill Community in Alstead that starts this March and runs one weekend a month through July. With permaculture, you learn how to design anything from a small backyard garden to a whole community into a stronger, more resilient and regenerative system. The Early Bird Rate ends on February 1st. Learn more at villageroots.org/permaculture-design-certification-course.php. We're thrilled to share that we received eight proposals from community members, business owners and nonprofit leaders interested in becoming the kick-off campaign for our new locally based crowdfunding platform, called The Local Crowd Monadnock. The proposals were diverse -- a number of campaigns focused on the arts and agriculture; some supported for-profit businesses and others boosted non-profits; a number wanted to launch brand new start-up businesses, while others focused on growing established businesses. After reviewing all the proposals we received, we plan to follow-up with our top candidates this week to confirm their ability to launch their crowdfunding campaign on March 15, 2017. While we plan to launch with one or two campaigns in March, there's still an opportunity for everyone who submitted a proposal to run their campaign on TLC Monadnock at a future date.